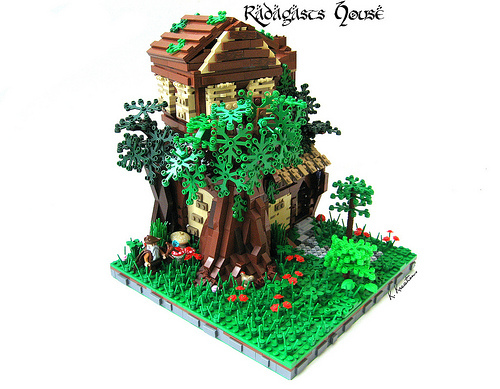 K.Kreations saw The Hobbit as well, and was inspired by Radagast’s very unique abode. Great to see this blogged! Love the textures on the house and the angle on the second floor. The fig is also excellent.